This is one of the only six sets of quartet compiled with Antonio Stradivari’s (1644-1737) instruments known to exist today. All the instruments of this quartet were once owned by Niccolò Paganini (1782-1840), a legendary violinist during the 19th century. Nippon Music Foundation acquired this quartet from the Corcoran Gallery of Arts in Washington, D.C. in 1994 and loans them as a set succeeding the will of Madam Anna E. Clark who donated the quartet to the Corcoran Gallery. This violin is one of the very few instruments which still retains its original neck. Its name was taken from the owner, Domenico Dragonetti (1763-1846), the Italian virtuoso double bass player. 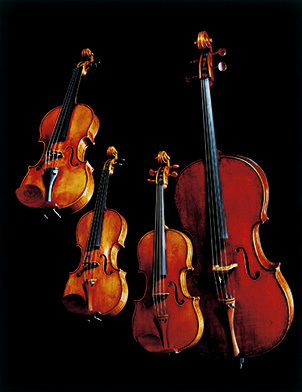 Dragonetti formed a large collection of double basses, violins, cellos, harps and guitars. Just prior to the Foundation’s acquisition, this violin was played throughout the world by the renowned violinist, Frank Peter Zimmermann (1965-). This violin was named after the owner, Lord Newlands (1890-1929), who treasured it throughout his life. While this violin was in the care of W.E. 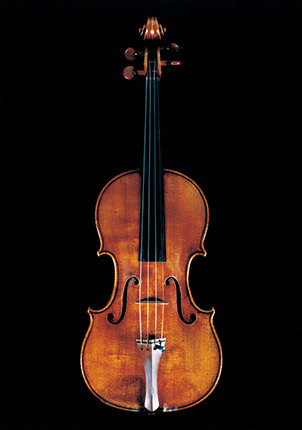 Hill & Sons of London between 1964 and 1982, it was exhibited at the CINOA Exhibit of Bath in 1973 as the most outstanding violin in the Hill Collection. According to the world virtuoso violinist Isaac Stern (1920-2001) who once played this violin, "Lord Newlands" has the same power as his "del Gesu" violins. 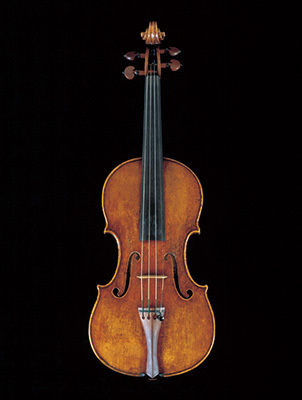 This violin was once owned by the famous luthier, Nicolas Vuillaume. Around 1880, it was acquired by an English astronomer, Sir William Huggins (1824-1910) from the Emperor of Austria via W.E. Hill & Sons, hence the name "Huggins". 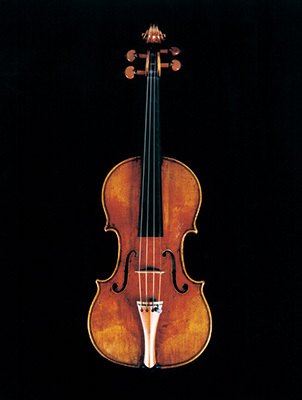 In 1997, Nippon Music Foundation started to loan this violin to the grand prize winner of The Queen Elisabeth International Music Competition in Belgium in order to support the Competition and the young promising players. This violin was once owned by the family of a naval officer Commander Young until his death in the World War II. The Young family had retained possession of the violin for almost 150 years, which is reflected in its superior condition. Nippon Music Foundation acquired it from an American amateur violinist and collector Ephraim Engleman, hence the name "Engleman". The name of this violin is derived from the owner, Duke of Camposelice, who was a well-known Stradivarius collector in France in the 1880s. 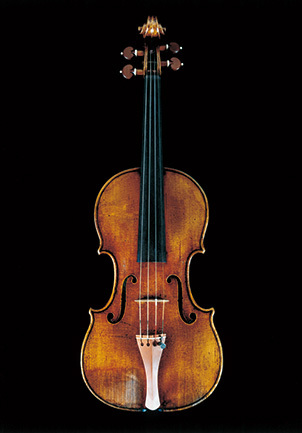 In 1937, this violin was exhibited at the prestigious Cremona Exhibition by Dr. Kuhne who owned a collection of instruments. Nippon Music Foundation acquired it from the family of a Belgian amateur player who took great care of it for over 30 years. 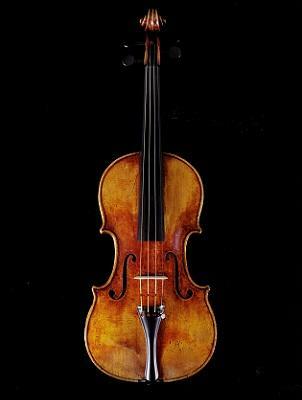 This violin is recognized as one of the top three violins made by Stradivari along with the 1715 "Alard" and the 1716 "Messiah". This instrument was once owned and played by the world famous virtuoso Jascha Heifetz (1901-1987). The owner in the late 1800s, George Hart who was an instrument dealer in London, named the violin "Dolphin" as its striking appearance and colour of its back reminded him of a dolphin. 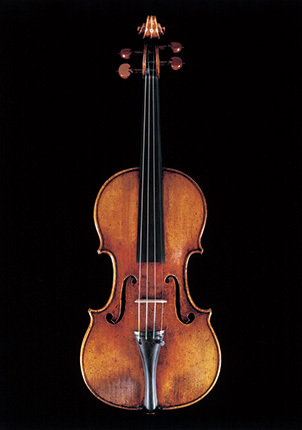 This is one of the three 1715 violins once owned by the famed Hungarian violinist, Joseph Joachim (1831-1907). 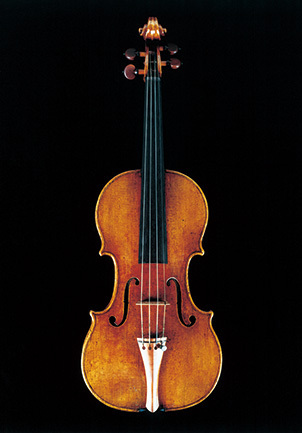 This violin was later bequeathed to Joachim’s great-niece Adela d’Aranyi, who was a violinist and a pupil of Joachim. Therefore, it is also known as "Joachim-Aranyi". It had since remained in the Aranyi family until Nippon Music Foundation acquired it. The name "Booth" was taken from Mrs. Booth, an English lady. She purchased the violin about 1855 to form a quartet of Stradivari instruments for her two sons who showed considerable talent. In 1931, the violin was passed into the hands of Mischa Mischakoff (1896-1981), a celebrated American violinist, and in 1961, it became a part of the Hottinger Collection in New York. 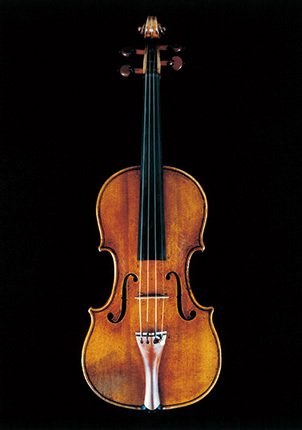 The violin enjoys a very good reputation for excellent quality of tone and power and for good state of preservation. 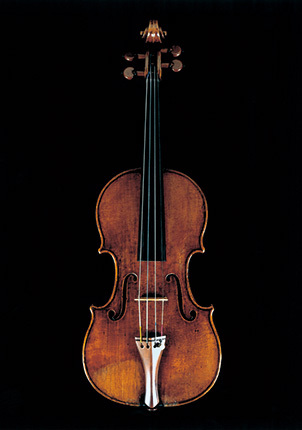 The name of this violin was taken from Comte de Sasserno, a French owner in 1845. In 1894, it was acquired by a violinist Otto Peiniger, who in turn sold it to Pickering Phipps, owner of a well-known brewery in England. In 1906, this violin was passed into the hands of an English industrialist Summers and was well-preserved in his family over 90 years. This violin has been in caring hands who appreciated its quality, and therefore it is a well-preserved example of Stradivari’s work. It is believed that a great English collector James Goding named it "Jupiter" in the early 1800s. This violin was once played by the world-acclaimed violinists such as Midori Goto (1971-) and Daishin Kashimoto (1979-), the first concertmaster of the Berlin Philharmonic. The name of this violin is derived from a German violinist August Wilhelmj (1845-1908), who has possessed it for about 30 years since 1866. This violin was his most favourite among many precious violins he owned. He parted with "Wilhelmj" in his fifties, as he made the decision to "quit when at my best". 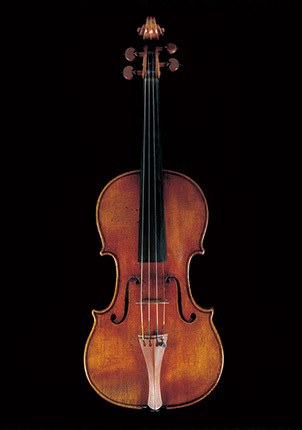 This violin was brought from Italy to France by Tarisio in 1836, and was once owned by the Comte de Chaponay of Lyon. At the end of the 19th century, it was passed to W.E.Hill & Sons of London, who sold it to violinist Arthur Hartmann (1881-1956) in 1901. By 1909 it had been acquired by the Samazeuilh family, hence the name “Samazeuilh”. Virtuoso Mischa Elman (1891-1967), who came to possess the violin in 1923, considered it in a letter written in 1926 ‘one of the best Stradivarius Instruments for tone quality’. The inscription on its label records its maker’s age of 91 years. In August 2017, Nippon Music Foundation acquired this violin with a substantial contribution from Mr. and Mrs. Okamoto in Japan and support from The Nippon Foundation. The label attached to this instrument bears an Italian inscription, "d'anni 92 (92 years old)", handwritten by Stradivari himself. It has a first class reputation for its excellent condition and tonal quality. This violin takes its name from a famous collector and amateur violinist, H.M.Muntz of Birmingham, England, who owned it in the late 1800s. This is one of the last instruments made by Stradivari, who passed away in 1737. This cello is known for its relatively slim body. From 1934, it was owned by Emmanuel Feuermann (1902-1942), one of the greatest cellists in the world and is also well known in Japan as the teacher of Hideo Saito (1902-1974). 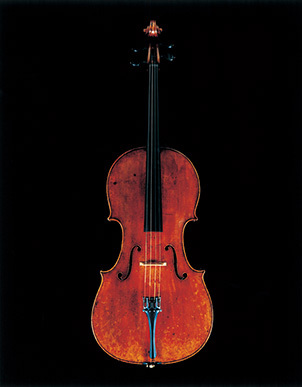 Feuermann performed throughout the world and recorded with this cello, hence the name "Feuermann". 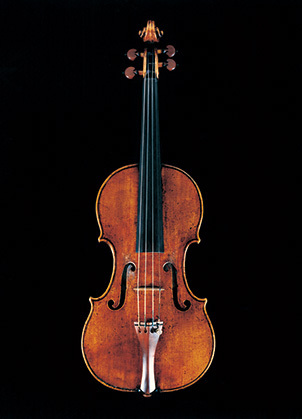 This violin was made by Bartolomeo Giuseppe Guarneri (1698-1744), a distinguished violinmaker comparable to Stradivari. 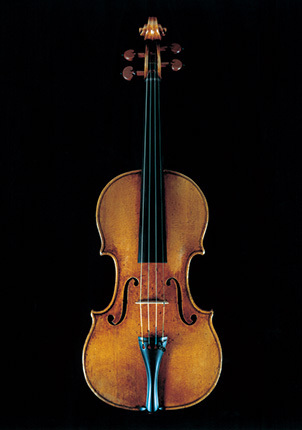 This violin is known as "Muntz" from its ownership by the same Muntz family as the 1736 Stradivarius violin. Nippon Music Foundation owns two "Muntz" violins both made in 1736 and holds duo recitals to compare the sounds of the two instruments. 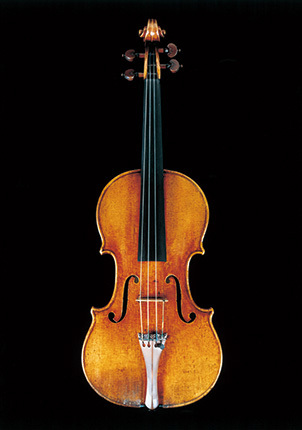 This violin bears the name "Ysaye" from the Belgian violinist Eugene Ysaye (1858-1931). Inside the violin is an inscription written in French with red ink, "This Del Gesu was the faithful companion of my career. Ysaye 1928". The violin took part in the procession of Ysaye's state funeral being carried on a pillow in front of the virtuoso's coffin. From 1965, it was owned by the world-virtuoso violinist Isaac Stern (1920-2001) from whom Nippon Music Foundation acquired it in 1998.